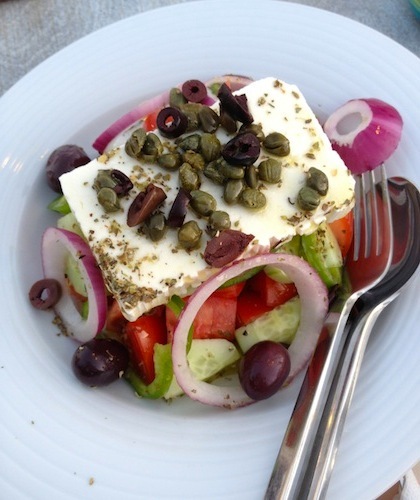 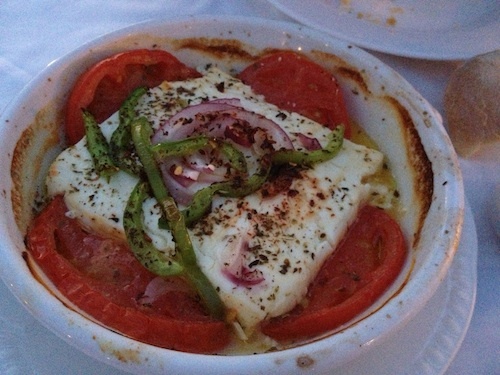 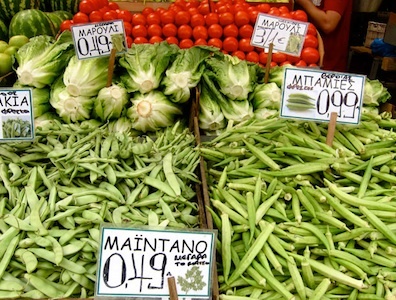 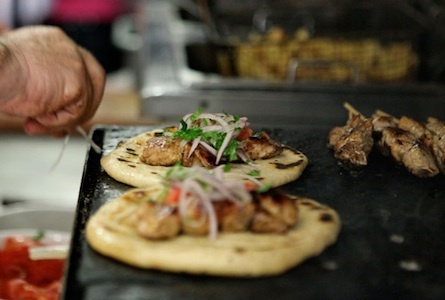 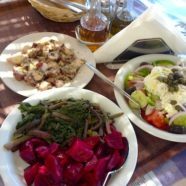 Each time you order a Greek salad, they will ask if you want feta (from Crete) or the local island cheese. 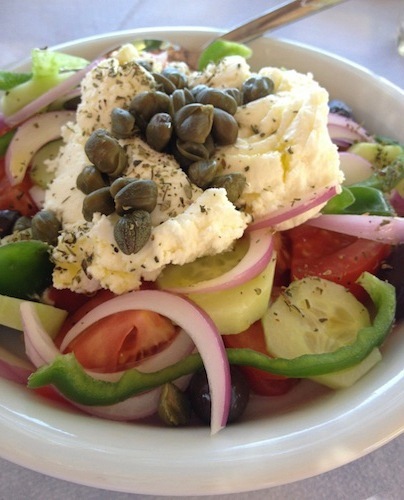 This is a Greek salad with Sifnos cheese. 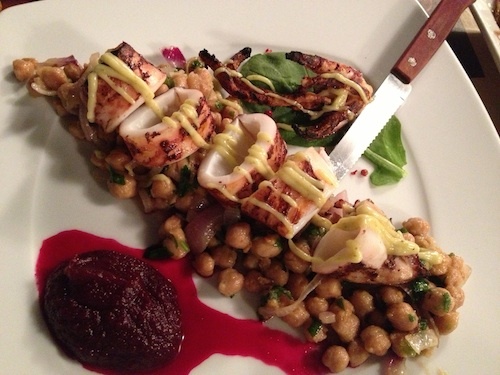 Fresh squid with chickpeas and beetroot purée ~ out of this world! 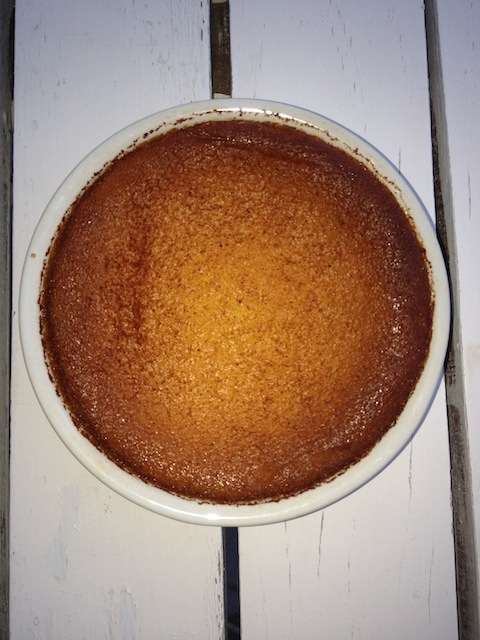 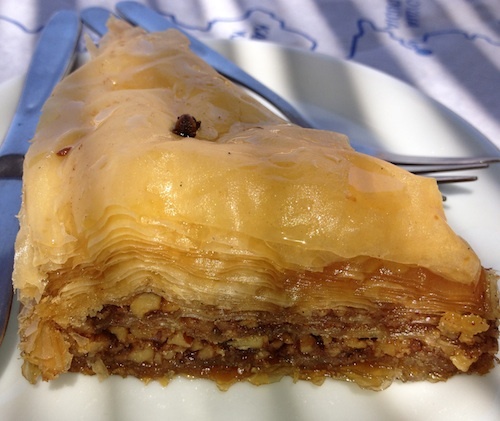 A honey cheesecake made with local goat cheese from the island of Sifnos, along with almond meal ~ delicious! 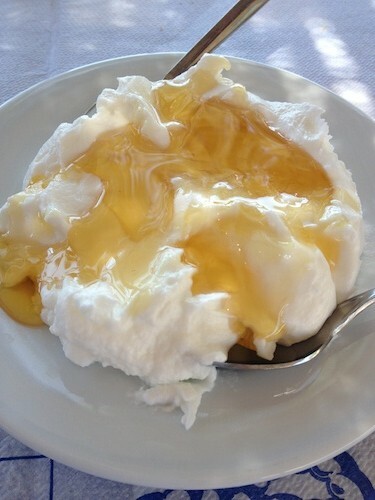 Thick & creamy Greek yogurt smothered in island honey ~ this is the real thing!